My programmed dendritic opal will help you make peace with all sides of yourself. Said by many to be a stone for balancing light and dark within, I recommend looking at this as accepting all parts of yourself peacefully and living your life. Through another lens, I teach about this process as very Plutonian. 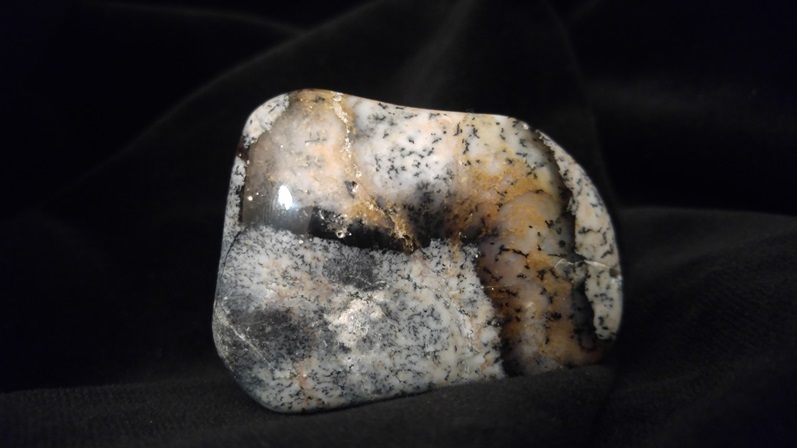 Dendritic opal is not nearly as intense as any Plutonian process, however. The point of this reconciliation of various sides of you is that you can be more consciously whole and flow more. 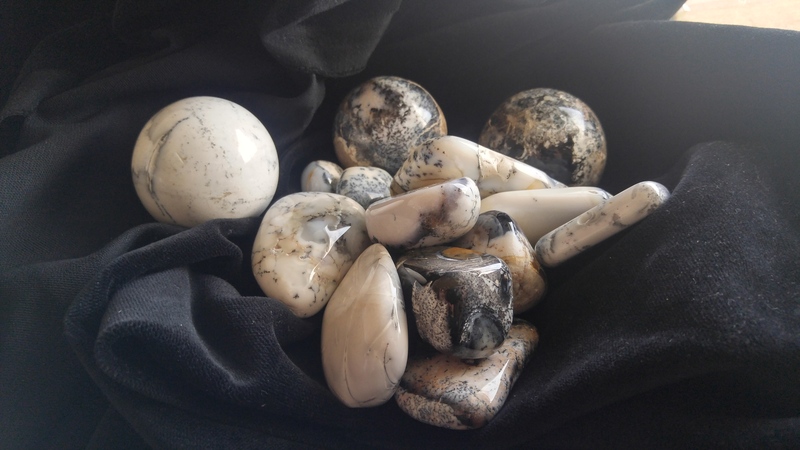 Dendritic opal is said to be a stone of prosperity, and my take on that is that money is a reflection of energy. When we’re whole and allowing all parts of self to be present and function, we’re poised to interact with the world around us and others in ways that allow and encourage energetic flow. A main way this plays out for may is that they don’t want to feel taken over by a part of themselves, so that part is suppressed. Suppression always leads to distortion, and so there’s an energy build up behind the wall of conscious behavior. When the energy behind the wall is awakened, the person gets tense and might judge and/or fear that part of the self, perhaps making a mess of things if the energy is allowed to come out. Consider that some people fear being aggressive and so don’t realize they might not be assertive in healthy ways. Some others might fear being judgmental and don’t realize they might not be discerning and critical in healthy ways. When it comes down to it, you can judge and try to distance yourself from any part of you, and there are many. The world is full of people trying to figure out how they can possibly feel okay about who they are and how they’re wired. 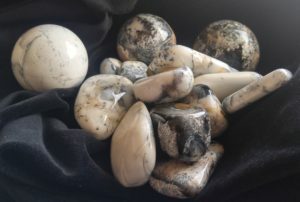 These dendritic opal pieces will help you make peace with and function more confidently with any parts of self you haven’t yet known how to deal with. From what I can tell, there’s no particular chakra this stone relates to more than others, as it’s kind of an all-over, whole-field balancer. 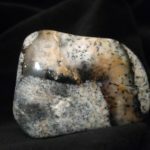 Hear a brief overview with a channeled message on this stone (20 minutes). A note on shipping: US $7.20 shipping for each piece is for US shipping and without insurance. International shipping will be more like $15. Feel free to contact me to estimate on shipping for international orders. Note: I prefer if you are outside the US that you contact me before purchasing so that I can invoice you for one transaction. DN038. Sold. Out of stock. Stay tuned.